Posted on January 9, 2018 By Joe Hardenbrook in Caribbean + Cruising + Florida + Food & Drink + Travel Outside U.S.
Posted on January 7, 2018 By Joe Hardenbrook in Caribbean + Cruising + Travel Outside U.S.
Posted on January 3, 2018 By Joe Hardenbrook in Caribbean + Cruising + Florida + Travel Outside U.S.
Wisconsin is a great place in the spring, summer, and fall. But winter? You can keep it. For December, we decided to book a Caribbean cruise for some sun n’ fun–if just for a week. In 2016, we did an Alaskan cruise that was AMAZING! Now we wanted to go somewhere warm. I got addicted to reading the boards on Cruise Critic. As only our second cruise we were still newbies compared to most people on that site! Price is a major factor in on our decision, but we’re also not willing to go “bottom of the barrel” either. We don’t need water slides or raucous crowds on a cruise to have a good time. For us, a vacation is intended for us to R-E-L-A-X. Around mid-May, I started checking cruise prices and we found a good deal with Celebrity so we booked the Celebrity Equinox sailing for December 9, 2017. 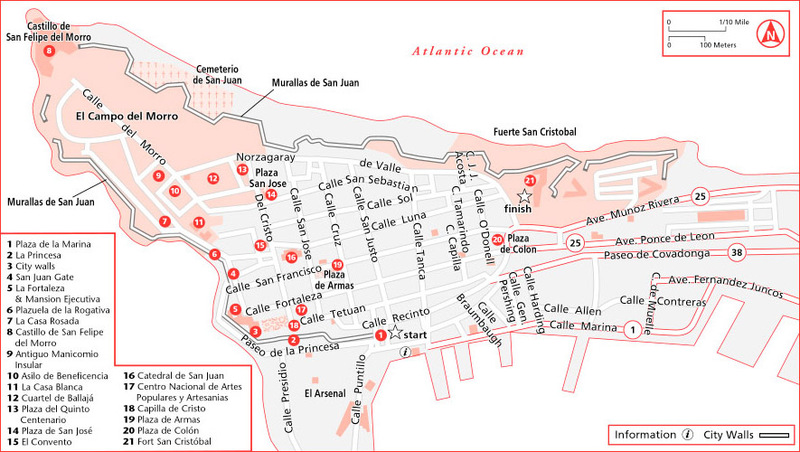 Then came the hurricanes… The original itinerary was Miami–San Juan–St. Maarten–St. Kitts–Miami. St. Maarten was axed and replaced with Punta Cana, then St. Croix, and then finally switched to St. Thomas. It didn’t really matter to us. We were happy to escape the cold in Wisconsin and knew that Celebrity would get us to warm and sunny places. Any inconvenience pales in comparison to what the people in the Caribbean are going through in recovering from the hurricanes. Prior to the cruise, we decided to spend two nights in Miami Beach–a place neither of us had been to before. We packed up at our hotel in Miami Beach and got an Uber. After two beautiful days of sunshine, it was now pouring down rain! We arrived at the Port of Miami just before 11am. Embarkation was amazingly fast: I’m not sure we will ever beat the 11 minutes from curbside to ship. We simply got lucky. This is where we thought Celebrity excelled. It’s top-notch. From waitstaff to the steward to the cleaners, everyone was so friendly and welcoming. Even though we were mere “plebs” in an inside cabin, staff made everyone feel special. Average to excellent. I know food is subjective. We had four nights in the specialty restaurants and that spoiled us! Murano was absolutely wonderful. That rack of lamb is to die for! Tuscan Grille: I thought I might have to loosen my belt, hah! We ate in the main dining room (MDR) for 2 nights and it’s pretty much what I expect from banquet-style food. That’s not a complaint; just a fact of institutionally serving such a large quantity of food. We also liked Oceanview Cafe (OVC) for breakfast and lunch and we were impressed by the various options and spaciousness of the set-up. Lunch on Friday was particularly nice, with large carved turkeys, peel and eat shrimp, and a chocolate fountain. OVC didn’t feel like a struggle to find a spot to eat. Also, one of us has a gluten allergy and we appreciated the alterations that could be made in the specialty restaurants and MDR. Favorite places to lounge outside: besides the usual poor area, we appreciated the solarium on the first day (weather was a tad cooler and drizzly), the chairs up on the Lawn Club, the chairs on the Deck 5 promenade. Inside: for quiet, we liked the Library (duh!) and the seating area by the elevators on Deck 7. We’re not big drinkers, but we liked the Martini Bar for inside and Sunset Bar for outside. However, we found daytime activities to be lacking…or at least very little that caught our eye. Especially for a cruise with three sea days. It’s not that we got bored, but we would look the “Celebrity Today” daily newsletter and just go “meh.” There seemed to be an overabundance of “medical” type seminars (botox, dental implants, joint pain). Went on the galley tour but really missed a cooking demo like we had on our Alaskan cruise on Princess. The library was well stocked and I read a couple books during some “down” time. San Juan: Old San Juan looked better than I expected despite all the news we had seen about the hurricane damage. Vibrant buildings, friendly people. We walked on our own from the pier to El Morro and explored the fort. Enjoyed a self-guided walking tour. Wish we would have had more daylight hours at this port. Saint Thomas: Ship docked at Crown Bay, not Havensight. We took the $4pp shared open-air taxi into Charlotte Amalie. Still a lot of hurricane damage in town and many shops closed. Some that were open, had lost power on our day there. Made the mistake of not booking an excursion (either through Celebrity or independently). We just walked around Charlotte Amalie. We’re not into jewelry, so this port didn’t have a lot to interest us. Saint Kitts: Our favorite port for relaxing. Booked a “beach break” through Celebrity to Cockleshell Beach. PERFECT! Miami: Booked an Everglades eco-tour and Fort Lauderdale airport drop-off through Celebrity. Enjoyed the airboat ride and appreciated not have to worry about luggage/arranging travel to the airport. The cruise was relaxing, fun, and Celebrity made us feel, well…like a celebrity! I’ll wrap up with some concluding thoughts on cruising in a later post. We were about to escape a week’s worth of Winter in Wisconsin on our Caribbean cruise. So why not expand it by two extra days by staying in Miami Beach? Sounded like a good plan to us! We penciled in one of those days as a beach day. After having breakfast, we headed over to Lummus Park in South Beach for a relaxing day of lounging and swimming. We rented two beach chairs and an umbrella (some hotels have a deal where this is included, so check!) or you can just bring a towel and plop down on the sand. The beach wasn’t particularly busy for a Friday and we enjoyed the sunshine, blue skies, and the peacefulness. After feeling sufficiently crisped and tanned, we made our way up Ocean Drive, stopping by the former Versace Mansion which is now a hotel and restaurant. Then we headed over on the Miami Beach Boardwalk and north to the landmark Fontainebleau Hotel, famous as a setting in the James Bond movie, Goldfinger. With ample beach time and a long walk on the boardwalk to see the sites, we felt our beach day was time well spent. In preparation for our Caribbean cruise, we decided to spend two nights in Miami Beach. Neither of us had been there before and we wanted to do two things: 1) see the Art Deco architecture, and 2) spend a day at the beach. After all, we wanted some sun n’ fun and escape Wisconsin in December for a week! We opted to base ourselves in the South Beach area. The weather was perfect – low to mid 80’s Fahrenheit. There was a bit of mix up with the hotel though. I had booked The Kent Hotel through booking.com. We got to the hotel, but our room wasn’t ready, so we dropped of our bags and went to go find lunch on Ocean Drive. While at lunch, the hotel called and said they were overbooked! Wow…what a way to start a vacation. However, they said they had a room at a sister property (that was more expensive) and only three blocks away on the same street. The hotel would pay the difference and deliver our luggage–so luckily, everything worked out! So we checked in to our new hotel – the Chesterfield Hotel & Suites on Collins Avenue. The room was nice and the bed was comfy…that’s all we really ask for. Oh, and it was one block from the beach…a definite plus! We had dinner that night at Larios on the Beach, a great Cuban restaurant owned by the Estefans. Make sure and get a mojito! After dinner, we did a self-guided art deco walking tour along Ocean Drive and Collins Avenue taking in the historic buildings and hotel, all lit up in the nighttime neon. Free Tours by Foot has a nice map and historical overview to do it on your own. Classic “small town” Wisconsin can be found in Cedarburg, about 30 minutes north of downtown Milwaukee. The main street, Washington Avenue, is lined with restaurants and shops, from antique stores to boutiques to art galleries. My mom and her boyfriend were visiting from Indiana. They like antiquing and wine tasting, so Cedarburg was a good match. Bret and I drove them over to Cedarburg on a rainy November Saturday. Not letting the rain deter us, we toured around the restored woolen mill, now filled with shops, went wine tasting at Cedar Creek Winery, and had lunch at Anvil Pub & Grille. Cedarburg is a nice daytrip from Milwaukee, Madison, or the Chicago area.